Full size Buffalo Bill Cutout, Pahaska Tepee, 2 miles from the East Entrance of Yellowstone Park. Pahaska is the Sioux name of Col. William Cody, legendary owner of Buffalo Bill’s Wild West show that toured the American West and Europe in the 1890’s. 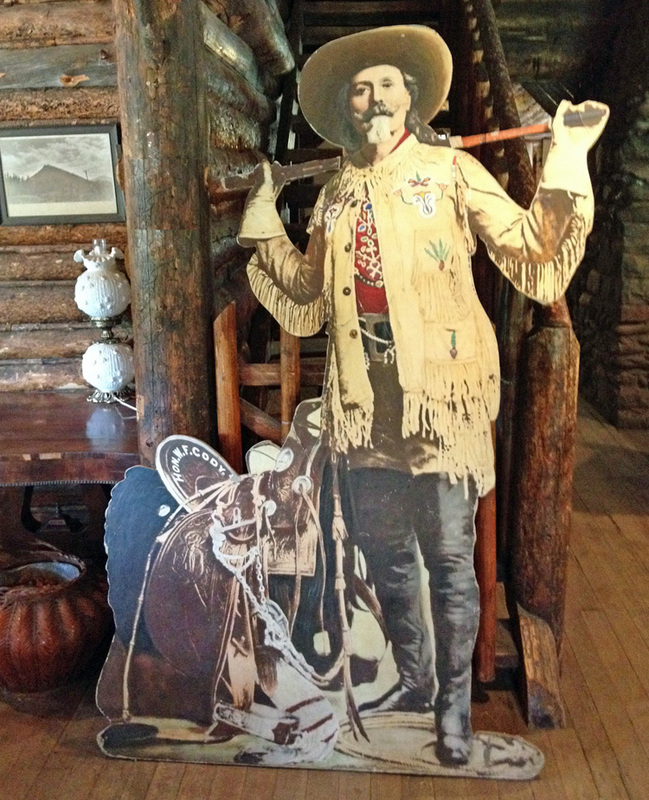 A full size cutout of Buffalo Bill stands tall in the sitting room of his hunting lodge next to the Pahaska Tepee restaurant. He seems to be making his last stand here on the banks of the Shoshone River near the eastern entrance to Yellowstone Park . A tourist could easily drive through Pahaska without noticing it: two-pump gas station, a few motel cabins, restaurant/gift shop, and a wrangler who rents horses by the hour or day. 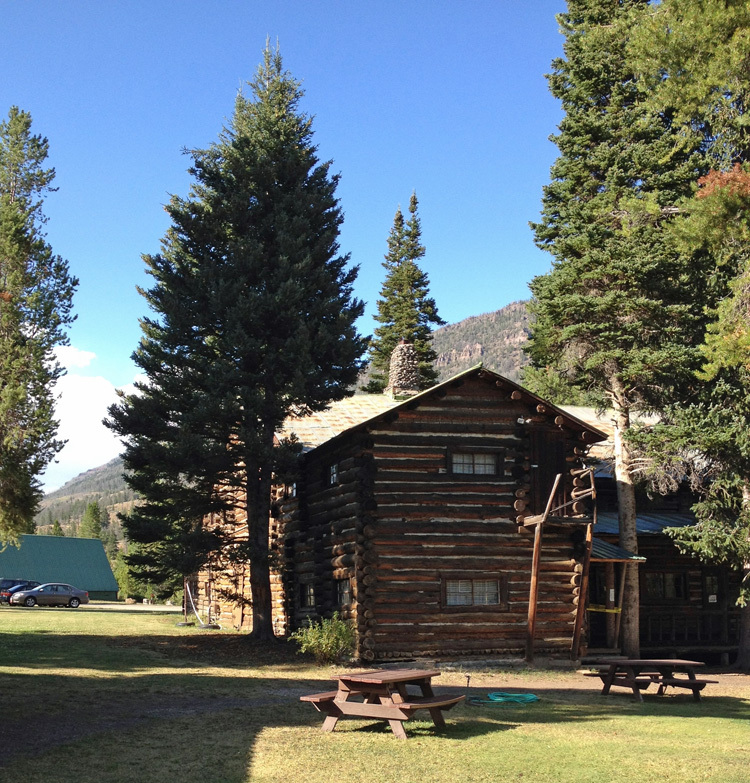 Cody’s Lodge stands today as it did in its heyday in early 1900, artifacts of the era are on display (including Buffalo Bill’s life-sized cut out, a soda fountain, and kitchen). Bill Cody’s 1903 Hunting Lodge is now a museum. But where is the tepee? The Indian tepee that used to grace the grounds is gone, but maybe an A-frame will do. 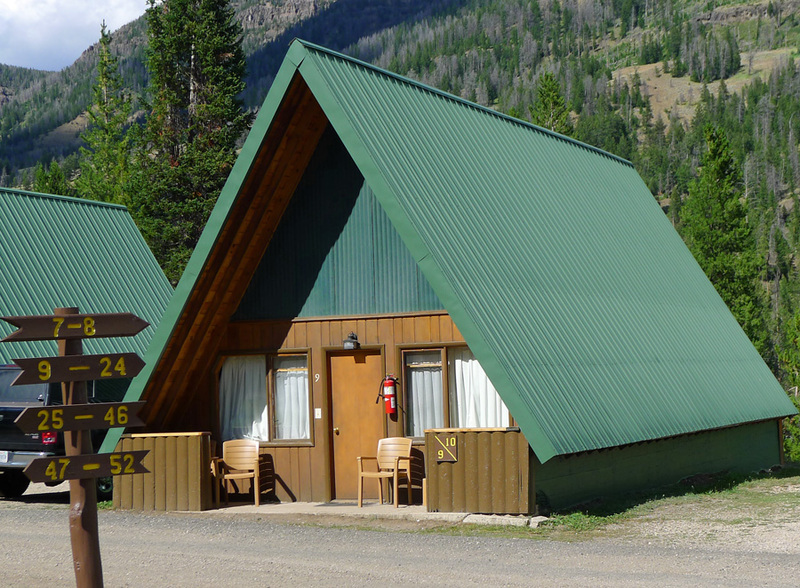 The motel has log cabins and these modern A-frames. The original Cody’s Lodge is not open for overnight guests. I stayed in this ‘tepee’ in 2008, but this year I was just passing through. This entry was posted in Montana, Travel Blog and tagged buffalo bill, iPhone, Pahaska Tepee, Photos, Postaday, Travel, Vacation, Wyoming, Yellowstone by carto. Bookmark the permalink.